Ashfold offers a number of scholarships and awards to children at 11+ (Form V/Year 7 entry) to encourage and reward excellence in specific areas of achievement, including academics, art, music and sport. 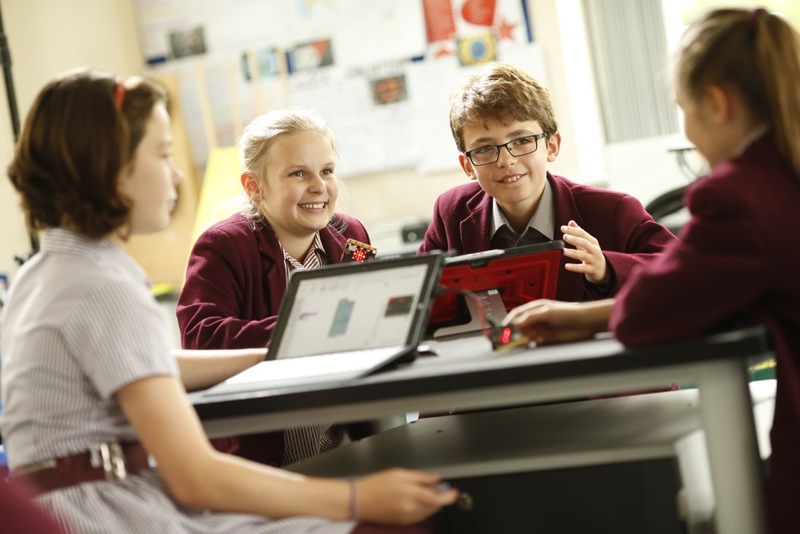 We jointly offer scholarships with Stowe School and Tudor Hall School. In each case, those awarded a scholarship will be guaranteed entry to Ashfold at 11+ (Form V/Year 7 entry) and to Stowe School or Tudor Hall School at 13+ (Year 9 entry). These scholarships are supported by means-tested bursaries which could cover up to 100% of the fees. Ashfold School and Stowe School are jointly offering Scholarships for any boy or girl of outstanding academic or all-round ability. Those awarded an Ashfold-Stowe Scholarship will automatically be guaranteed entry to Ashfold at 11+ (Form V/Year 7 entry) and to Stowe School at 13+ (Year 9 entry). The Scholarships are supported by means-tested bursaries which could cover up to 100% of the fees at both schools. These bursaries will also be guaranteed for the duration of your child's education at Ashfold in Forms V and VI/Years 7 and 8, and at Stowe School in Years 9, 10, 11, 12 and 13. However, should your personal circumstances change, both Ashfold and Stowe School reserve the right to review the level of bursary support provided. Applications are invited from boys and girls in Form IV/Year 6. Candidates for the Academic Scholarship must be able to demonstrate outstanding potential in English, Mathematics and Verbal and Non-verbal Reasoning papers. Candidates for the All-Rounder Scholarship must be able to demonstrate both strong academic potential and an outstanding range of sporting, musical and/or artistic abilities. This will be judged through practical sessions and on assessment of a candidate's portfolio. Following the assessments, short-listed candidates will be invited for interview at Stowe School. The deadline for applications is early in the Spring Term each year. Written assessments will take place at Ashfold in March. Candidates will be interviewed by the Headmaster of Stowe School in March. We would encourage parents of candidates to visit both Ashfold and Stowe School, ideally at one of their Open Mornings. Ashfold School and Tudor Hall School are jointly offering a Scholarship for any girls of outstanding academic ability. Those awarded an Ashfold-Tudor Hall Scholarship will automatically be guaranteed entry to Ashfold at 11+ (Form V/Year 7 entry) and to Tudor Hall at 13+ (Year 9 entry). This Scholarship is supported by a means-tested bursary which could cover up to 100% of the fees at both schools. This bursary will also be guaranteed for the duration of your child’s education at Ashfold in Forms V and VI/Years 7 and 8, and at Tudor Hall in Years 9, 10 and 11. All Tudor Hall bursaries are reviewed for Sixth Form. However, should your personal circumstances change, both Ashfold and Tudor Hall reserve the right to review the level of bursary support provided. Applications are invited from girls in Form IV/Year 6. Candidates for the Ashfold-Tudor Hall Scholarship must be able to demonstrate outstanding potential in English, Mathematics and Verbal Reasoning papers. All applicants must be supported by an endorsement from the Head of their current school. Candidates must also be able to demonstrate an outstanding range of sporting, musical or artistic ability. This will be judged through practical sessions and assessment of a candidate’s portfolio. The deadline for applications is the beginning of the Autumn Term each year. Assessment days take place at Tudor Hall in the October of Form IV/Year 6. If successful, candidates will then be invited to a Scholarship Day at Tudor Hall in the Spring Term. If applicants are not currently at Ashfold, they will also attend an interview and familiarisation day at Ashfold. We would encourage parents of candidates to visit both Ashfold and Tudor Hall, ideally at one of their Open Mornings. Personal appointments can be made via the Registrars. Lady Popplewell was a Governor at Ashfold for many years. She was a passionate advocate of girls staying on to 13+, so that they could make the most of the many opportunities on offer at Ashfold in Forms V and VI. When she died, the Governors were proud to establish these awards in her name. Lady Popplewell Awards can be awarded to girls entering Form V who bring something extra to the School. They may be girls who thrive on the many opportunities on offer at Ashfold or girls with a particular passion for art, design technology, history, languages, music, drama, sport or something entirely different. We see our award winners as girls who are able to make a significant contribution to school life and enrich the school community. Award winners are expected to continue at Ashfold for Forms V and VI. These prestigious awards come with a 5% fee discount on school fees for Forms V and VI. In addition, means-tested bursaries may also be awarded up to a value of 25% of fees. There is no formal application form for Lady Popplewell awards. In the Autumn Term, we contact parents of girls in Form IV and invite them to put their daughter's names forward for the award.